In the second match of the day, Delhi Capitals defeated Mumbai Indians by 37 runs at the Wankhede Stadium, Mumbai on Sunday. Thanks to Pant's fireworks, Delhi Capitals posted a big total and then defended the target with ease. Mumbai Indians captain Rohit Sharma won the toss and decided to field first. Mitchell McClenaghan got the team off a great start as he dismissed Prithvi Shaw and Shreyas Iyer. Colin Ingram and Shikhar Dhawan steadied the innings and took Delhi Capitals to 45 for 2 at the end of 6 overs. Colin Ingram and Shikhar Dhawan then attacked Mumbai Indians bowlers as they added 83 runs for the third wicket. Ben Cutting got the breakthrough as he dismissed Colin Ingram for 47 runs. Soon after Shikhar Dhawan also was dismissed for 43. Rishabh Pant came to the crease and just plundered Mumbai Indians' bowlers to all parts of the ground. Pant made batting look easy and reached his fifty off just 18 balls. It was an amazing batting display by the hard-hitting left-handed batsman who remained not out on 78 off 27 balls and helped Delhi Capitals to 213 for 6 in 20 overs. Chasing the target of 214 runs to win, Mumbai Indians openers Rohit Sharma and Quinton de Kock got the team off to a quick-fire start as the duo added 33 runs in 3.3 overs. Ishant Sharma dismissed Mumbai Indians captain Rohit Sharma for 14 runs. Suryakumar Yadav was brilliantly run out for just 2 runs by Iyer. Quinton de Kock played some lovely strokes before being dismissed for 27 off 16 balls. Mumbai Indians were reduced to 49 for 3 at the end of 6 overs. Kieron Pollard played some lovely strokes but was dismissed by Keemo Paul for 21 off 13 balls. 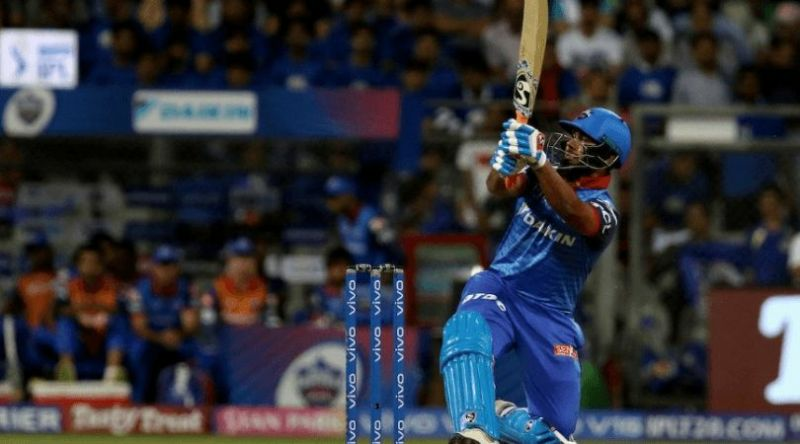 Hardik Pandya failed to get off the mark but Krunal Pandya gave Mumbai Indians some hope of winning the match. However, he was dismissed for 32 runs off 15 balls. Yuvraj Singh looked in aggressive touch and reached his fifty off 33 balls but it was not enough in the end. Mumbai Indians were bowled out for 176 in 19.2 overs. Brief scores: Delhi Capitals 213 for 6 in 20 overs (Pant 78*, Colin Ingram 47, Dhawan 43, McClenaghan 3/40) beat Mumbai Indians 176 in 19.2 overs (Yuvraj Singh 53, Krunal Pandya 32, Kagiso Rabada 2/23, Ishant Sharma 2/32) by 37 runs.